What if your car could warn you that you were missing something before you pulled out of the parking lot? Lost-item-locator startup Tile and Jaguar Land Rover are teaming up to make this scenario a reality. Tile, a four-year-old company, makes $25 Bluetooth-enabled trackers that you can stick onto your belongings and locate them within a 100-foot range. Users can essentially call their missing items, and they'll emit a sound until they're located again. Related: Hate Losing Your Stuff? You'll Love Tile. 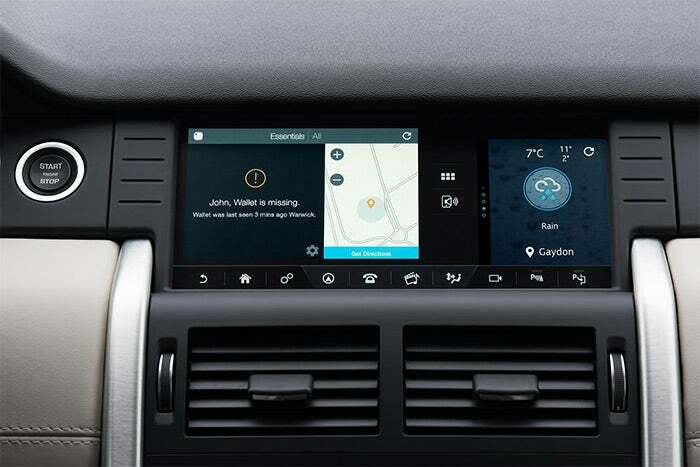 Jaguar Land Rover today announced that it will be integrating the Tile app into all its models with the InControl Apps system. The app will be enabled in the automaker's vehicles, and with Bluetooth technology, drivers will be alerted if any of their items aren’t in the vehicle. Directions to the belongings last known location will pop up on the car's central touch screen. “We believe this integration will provide many benefits, such as improved assurance and peace of mind about the whereabouts of essential items, helping drivers save time," said Tile CEO Mike Farley in a joint statement. The San Mateo, Calif-based startup brought in $43 million in revenue in 2015, and has shipped 4.5 million individual Tiles to users within the last year and a half.